Leading Manufacturer of l type belt fasteners, leygral type belt fasteners, steel belt lacing, patta bolt, conveyor belt fasteners and oval steel belt fasteners from Ludhiana. We offer L Type Belt Fasteners to our valued customers, designed as per the industry norms and impart superior grip and safety features, being in usage. 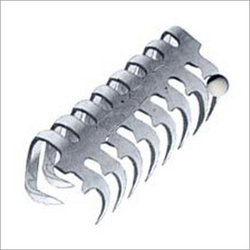 Assorted with a tight joint to clutch the belts’ end, forming a continuous loop, these fasteners offer optimum safety. Available in various sizes and dimensions, these are delivered at affordable prices. With our profound vision to offer our customers the best in class products, we have manufacture Leygral Type Belt Fasteners. 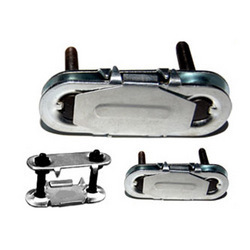 These fasteners are designed and manufactured using qualitative materials and are assured with qualitative features of superior grip and durable finish. 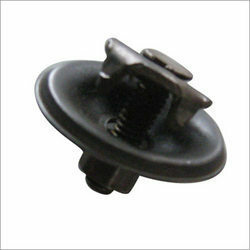 Available at market leading prices, these fasteners can be purchased as per the specifications asked by customers. Ideal for a wide variety of light and medium duty fastening applications, we have introduced Steel Belt Lacing, for our valued customers. Manufactured using optimum quality materials, these lacings offer assured durability. We have designed these products to enable easy installation, so that applications could be conducted conveniently. Manufactured in accordance with the set industry norms and guidelines, quality of this Patta Bolt is highly standardized. Owing to the highest grade of raw materials employed in its manufacture, the offered range has a durability, commendable dimensional accuracy and a high resistance to corrosion. Further, at is marked at the best rate possible. Backed by sophisticated technology, we have manufactured Conveyor Belt Fasteners for our customers. 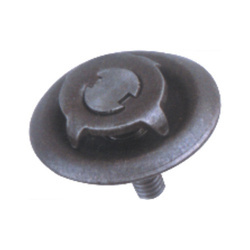 Available in different grades and dimensions, these fasteners are widely appreciated in the market. Owing to their remarkable finish, rust-resistance and precise design, these are in huge demand in the market base. Our prospects can avail these offerings at market leading prices. Features: Rust-resistancePrecisely designedDurable finish Specifications: Size: Customized We are mainly looking for North India, North East, West Bangal Queries. We offer premium quality Oval Steel Belt Fasteners that are appreciated among our client base owing to their super grip and safety features. We design these fasteners as per the industry standards, so that our customers can experience maximum satisfaction on account of using our offerings. These products are designed with a tight joint to clutch the belts end form a continuous loop. 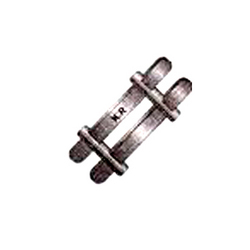 Available in various sizes and dimensions, these fasteners are suitable for sturdy material handling. 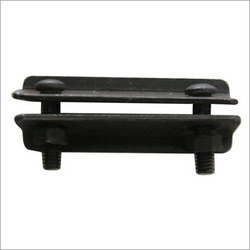 Backed by our vast industrial experience, we have brought forward Steel Oval Belt Fasteners, for our esteemed clients. 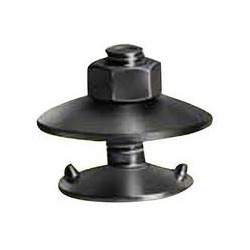 Manufactured using optimum quality steel, these fasteners are offered with durable finish and sturdy design. Our customers can procure these products as per their specifications and also at best possible prices. These are widely acclaimed among our customers as they are ideal for moving heavy goods from one place to another.